Gianna Jeon Ji Hyun (전지현) wore Philipp Plein 'Inspector' coat with a white turtle-neck blouse and Sandro denim jeans. Her look was accessorized with Philipp Plein boots, Rag & Bone fedora, Tod's bag and Gentle Monster sunglasses. 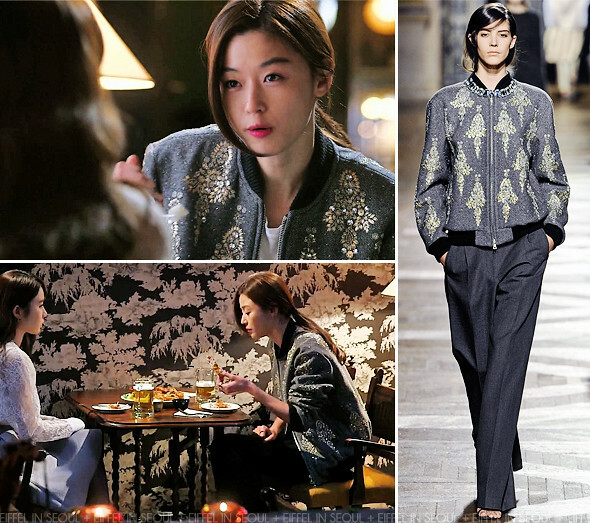 In the same episode, she was seen wearing an embellished wool bomber jacket from Dries Van Noten Fall/Winter 2013.